It is not unusual to find several lines of skin care per brand based on different skin types. These can include oily, dry, combination, sensitive, acne prone or aging. But is this the correct approach to skin care? Or is it really just a clever way to market different products to you? Before answering these questions, let’s take a closer look at skin types. First and foremost, dermatologists agree that surface characteristics of skin vary based on many factors, including age and general health considerations such as stress, diet, exercise, health of immune system, etc. Normal skin is not excessively oily or dry, and has an even tone and smooth texture. 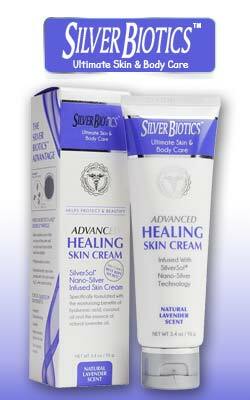 It also does not have signs of skin conditions such as rashes, blemishes or acne. Oily skin appears shiny with large visible pores. Skin lesions such as blemishes or acne are often associated with oily skin. Oily skin products often feature extremely harsh ingredients, which can be very harmful for oily sensitive skin. Dry skin has a dull appearance, and even some flaky areas that feel tight. This type tends to wrinkle easier and may be more prone to uneven skin tones. This is the most common skin type. Certain areas appear to be oily (especially forehead and nose), while other areas are dry or normal. The individual’s general health including their immune system, stress levels and diet. Interest in skin care for sensitive skin is on the rise because more people than ever are reporting skin sensitivities. In fact, many people complain the same products they have “used for ages” are now causing serious irritation. This irritation could be due to emerging allergies to various ingredients or simply using products with irritating or harsh formulas. We’ve been told in order to maintain health and prevent disease in our body, it’s important to live a healthy life. A healthy lifestyle includes exercising, eating a balanced nutritious diet and managing stress. We’re not told to eat certain foods based on our type, although for a while this was a fleeting fad. In order to maintain healthy heart, lungs, or any other organ, we must follow the healthy lifestyle guidelines. For example, smoking certainly affects the lungs, but it also affects the health of your gums, immune system, heart and skin. Another example is your diet. Eating excessive amounts of sugar and sweets in general can cause weight gain, tooth decay and skin blemishes. It doesn’t matter if you have sensitive, aging or normal skin, an unhealthy diet will produce unhealthy skin. Likewise, not managing stress levels properly can affect your immune system, cause symptoms such as clenching and grinding the teeth and even binge eating. All of these can have a domino effect on an individual’s general health and the appearance of their skin. 1. Scrub Away Dead Cells: Your skin has a natural life cycle. Skin sheds dead cells and generates new cells daily. The dead cells need to be removed or as they accumulate on the skin surface or get mixed with dirt and oil, your skin will begin to appear drab, dull and unhealthy. You may even develop what is called acne prone skin as debris builds up. It is therefore very important to remove dead cells gently, without harsh abrasives, from the outer layer of your skin on a regular basis. A non-abrasive scrub used two to three times per week, can accomplish this beautifully. 2. Essential Nutrients with Mask: A quality facial mask also helps to gently exfoliate and deep cleans the skin. For sensitive skin, a mask with kaolin clay is best. It helps stimulate circulation, leaving your skin revitalized, smooth and silky, without drying. 3. Dead Sea Mud: Another important ingredient to look for in a facial mask is Dead Sea Mud. Rich in antioxidants, Dead Sea Mud helps protect against aging by feeding your skin important nutrients. The Dead Sea is high in mineral salt content. As water evaporates due to heat, the minerals get absorbed into the mud. The mud is then purified and packed within facial masks. This ingredient is excellent for treatment of acne, psoriasis, eczema, and most skin conditions. It also tends to moisturize and helps hydrate the skin naturally. 4. Fruit Acids: We often hear about the pH of the skin, but just what is the pH and why is it important? Skin has a normal pH of 4 to 5.5, which in the scale of pH means it is acidic. The outer layer of your skin has a natural protective layer of oils, which are acidic, called the acid mantle. The purpose for this layer is to protect your outer skin layer from infection and harmful bacteria. If it is disturbed or stripped, bacteria can attack the skin causing rashes, acne, and other skin conditions. Alkaline soaps, detergents, harsh skin care products and cleansers are the main way to strip the outer acid mantle of your skin. Although the word acid as an ingredient sounds harmful, there are safe acids such as fruit acids, Alpha Hydroxy Acid, Alpha Lipoic Acid or Ascorbic Acid, that can help protect this outer acid mantle layer and rejuvenate your skin. When applied through a facial mask or other appropriate product in the right amount, these acids can improve skin texture and may also reduce fine lines, acne scaring and uneven skin tone. Blackheads can also be reduced or removed with these types of facial acids. 5. Shea Butter: Moisturizing without clogging pores is important. Pure 100 percent Shea Butter hydrates, has natural sunscreen, and anti-aging benefits. It has been used for centuries for cooking and skin conditions. Although many products contain not the pure form, but shea butter mixed with other oils, the pure form is the most beneficial. To the unsuspecting consumer, a pretty label on a beautiful jar is surely good for your skin, especially if it is endorsed by a young and attractive model or starlet. Nothing could be further from the truth. Certain ingredients are harsh and irritating, and they can be found in expensive brands as well as inexpensive ones. Acne products with antibiotics—If acne is due to infection, antibiotics used temporarily may be indicated. Long-term use may lead to antibiotic resistant bacteria. Aluminum Sulfate—Common deodorant ingredient that can be irritating to your skin. Botanicals and herbal ingredients—Just because an ingredient is natural, it does not mean it is good for you. Remember, herbs can be sprayed with pesticides and have side effects. Drugs come from herbs. Even organic botanicals can have strong side effects, especially when added in a potpourri manner in many products. As you continue to use these strong plants for years, you could be asking for trouble. This applies to all plant extracts and essential oils found in most daily used personal care and skin care products. BHA—Strong synthetic irritating ingredient used as antioxidant. Barium sulfate—Used as whitening agent in cosmetics. Fragrance—Includes salicylates and other irritating natural or synthetic plant oil ingredients. Isopropyl alcohol—An irritant found in many products. Lanolin—Derived from sheep glands, may contain contaminants. Ortho Tri-Cyclen—Approved for acne products, is the common component of the birth-control pill. Salicylic acid—This anti-inflammatory ingredient is found in many over-thecounter ointments for pain relief. It’s also added to skin care to reduce redness. It can cause irritation and salicylic acid allergy if used for long periods of time. Sodium lauryl sulfate (SLS)—Strong industrial detergent, used for foaming properties in many products, including toothpaste. Sodium silicate—Irritating antiseptic used in cosmetics. Avoid using soaps, cleansers or any skin care with irritating ingredients, such as those listed above. Protect your skin when exposed to the sun with safe sunscreen that is PABA free. Use pH balanced skin products and focus on safe ingredients. Previous Article Sunscreens–Protection or Deception?